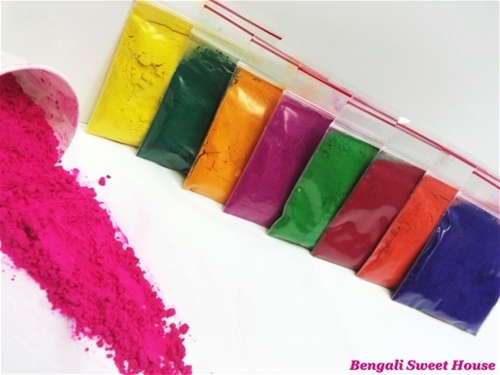 .5 oz Assorted Packets of Holi Colors will surely brighten up any occassion. Now you can enjoy the festivities of Holi any month of the year and any day of the week!! This packet includes 8 assorted packets and colors PLUS 1 FREE packet.